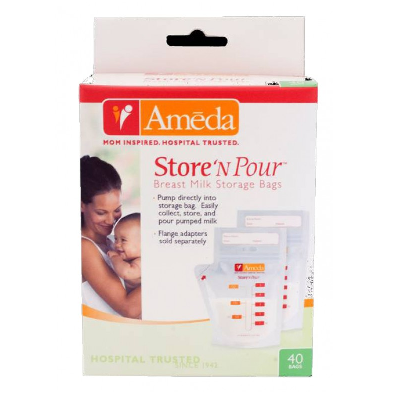 The Ameda Store ‘N Pour Breast Milk Storage Bags Getting Started Kit includes 20 Store ‘N Pour Storage Bags and two flange adapters. 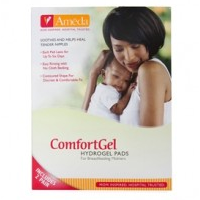 The Ameda Store ‘N Pour Breast Milk Storage Bags make it more convenient to pump and store breast milk in the freezer. 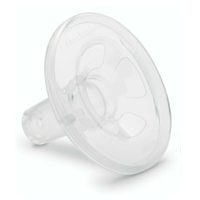 These thick, three-ply bags ensure that your milk is preserved safely in the freezer. 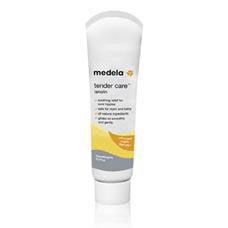 Each 5oz. bag has a convenient pour spout and a zip seal opening for easy dispensing.